First Project – I Can Do It! LA’s teacher read a book with her on making birthday cakes. After they talked about the cakes of different colours (in the book), they ‘made’ a cake on paper, with 3D wooden pieces as candles. They then discussed how a birthday party would be like. Li-Ann enjoyed the session very much as the teacher found that she could do quite a bit of things with her. 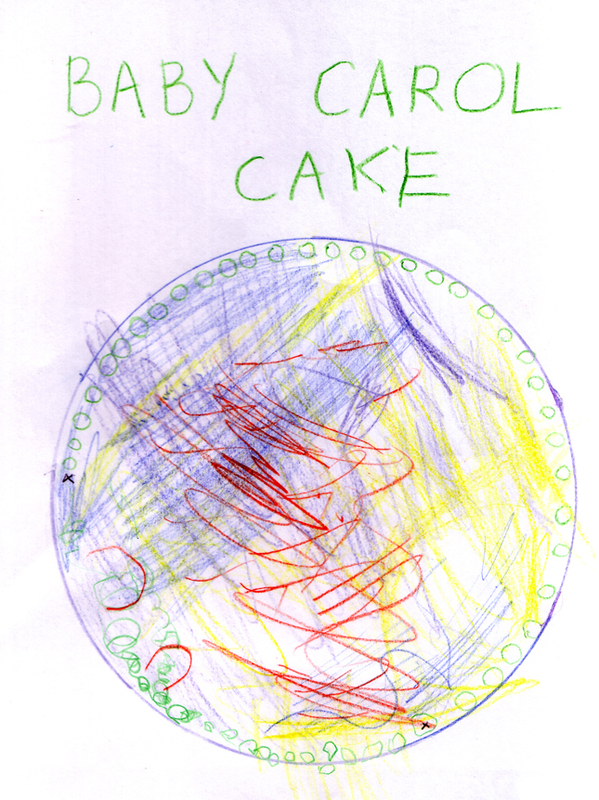 Here’s the cake that the teacher got her to ‘make’ (the rounder circles were drawn by the teacher). I believe it was her favourite doll’s, baby Carol, birthday.